Which one of Daehyun solo songs you like the most? [i]"There’s really no other thoughts than to do my best. I try to do my best during every moment." Babys are like fried tofu , because they go well with bap (rice). I don’t believe perfection exists in this world, but there are infinite amount of chances to being close to it. We need to do something difficult in order to show the real us. We are still here, because we experienced both good and bad as 6. “Everything was a new experience. •In “Ta-Dah! It‘s B.A.P“ he is a spy/observer of the squad placed on earth and is often seen just watching them. He landed in Busan which is why he specks in that dialect. He does not like any of the members but is fascinated por JongUp’s dancing. •He is closest with Bang, but he and YoungJae are very close since their trainee days. 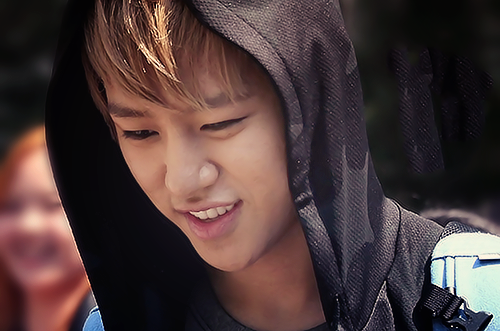 In which ano was Daehyun born?